This illustrated book gives a comprehensive view of _ contemporary ideas, innovations and emerging attitudes to sustainability that emanated from the MIT symposium. 16 leading contributors with demonstrable track records in architectural practice, engineering and academia give their insights into the way we need to think about architecture in the future in order to work with the environment - instead of against it. Supported by details that relate to specific design or research projects, they clearly suggest a variety of potential directions fo follow to bring environmentalism into the mainstream of architectural discourse. The edited summary of twelve key presentations at an International Design Symposium held at MIT. 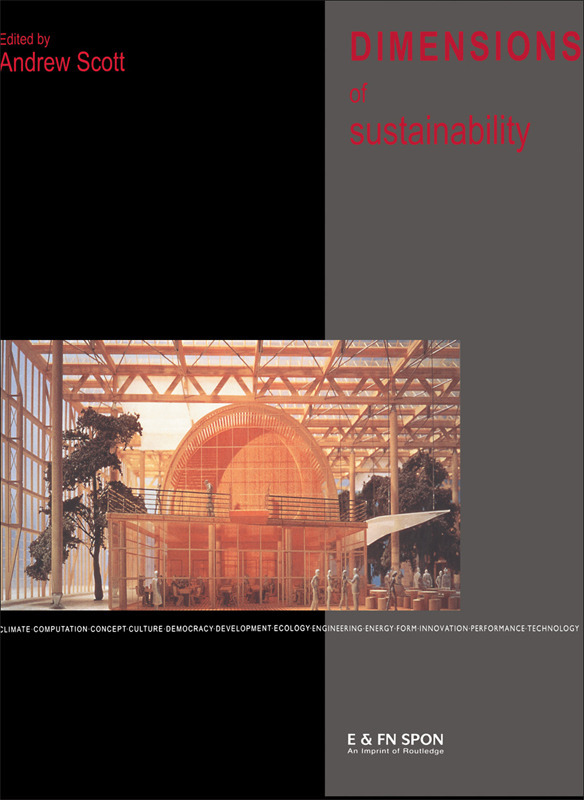 This book presents an important collection of contributions from key designers with a track record in the field of environmentally conscious buildings. Their contributions respond to a need for a more holistic view on environmentalism, focusing on cultural and social levels as well as technical issues to broaden the debate on sustainable architecture. This book will appeal to a wide range of professionals in the built environment, increasingly concerned with sustainable design.